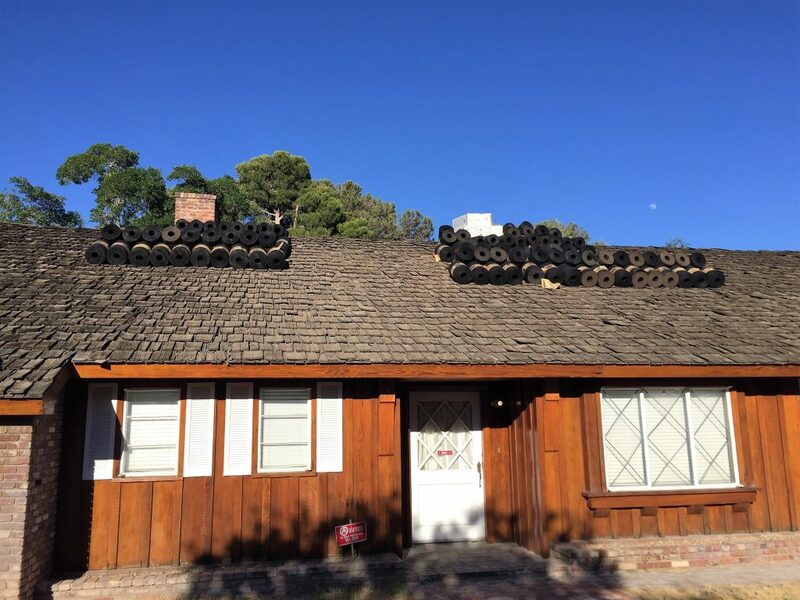 One of the great things about being a Las Vegas roofer is being able to work on projects that reflect our community’s historic and sometimes colorful past. We’ve worked on many celebrity homes, some restored classic beauties and others completely new or remodeled, as well as landmark public buildings, like the new Nevada Supreme Court building in Las Vegas. But one recent project gave us a real sense of the history of Las Vegas in its mid-20th-century heyday, when the casinos rocked with swinging bands and crooners, and the locals spread out into new suburbs to occupy brand new, sprawling ranch- style homes with seemingly endlessly large desert yards and driveways long enough to fit those really long cars everyone was driving. 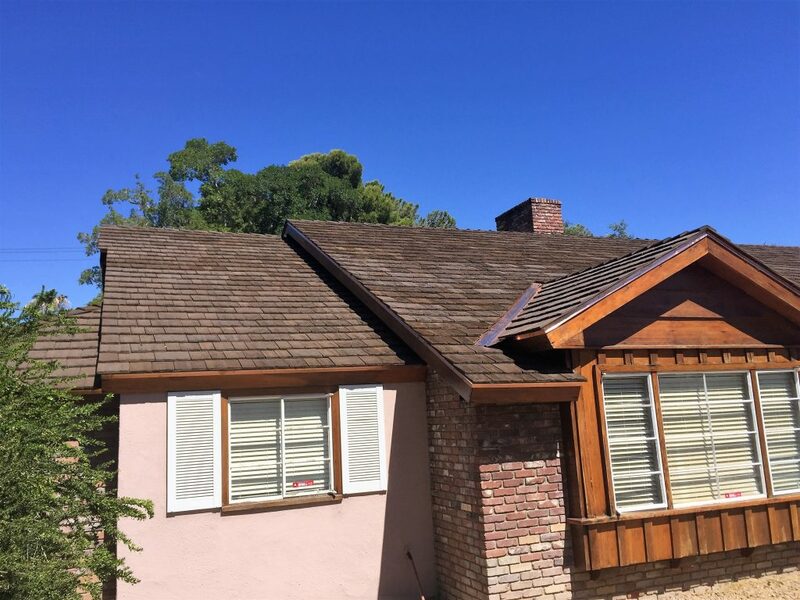 Recently Prestige Roofing was commissioned to install a new roof on a vintage Las Vegas ranch style home, in a neighborhood that was home to many casino owners and entertainers. 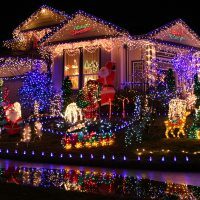 The son of the original owner is restoring the home for his mother and was insistent on maintaining the original look and feel of the home. 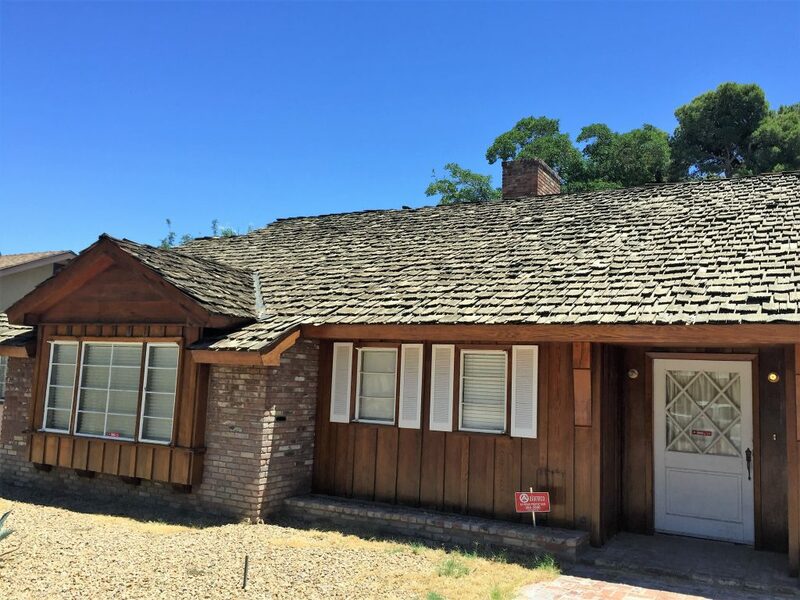 In keeping with the homeowner’s wish to retain its historic style, but also wanting to install a durable, trouble-free roof replacement that would both beautify and protect this vintage home, Prestige selected CeDUR Shake roofing for the project. CeDUR was not only a perfect match for the original hand split cedar shakes, but it is also fireproof and a highly durable, weather-resistant and long-lasting roofing material. 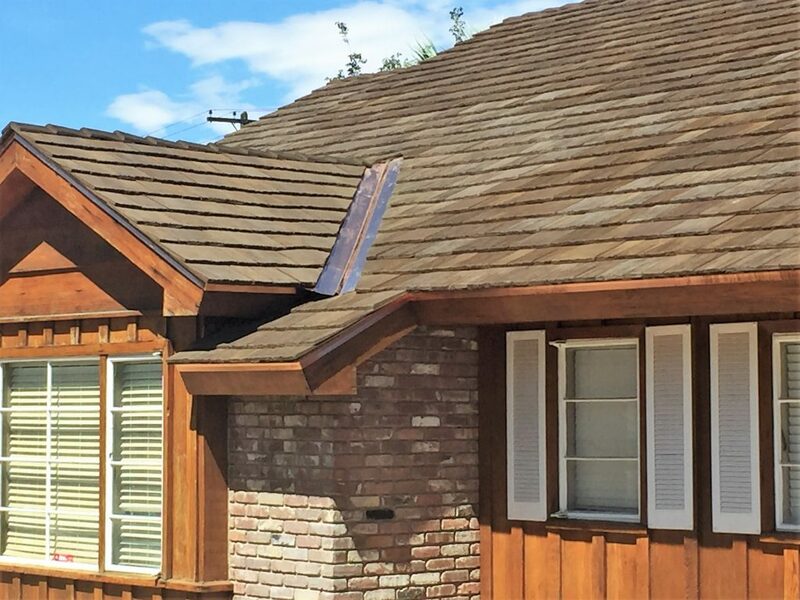 We have never seen a better match to a wood shake roof than we had with this project. Our primary objective, of course, was to retain the home’s historic, retro styling. CeDUR was a perfect choice, not only exactly replicating the look of classic cedar shakes, but also because, among its many durable qualities, CeDUR’s state-of-the-art material is highly UV resistant, a great choice for our harsh desert sun. This beautiful look will last longer than if we had installed actual wood shakes, which are subject to drying, cracking, rotting and other natural processes. The CeDUR roof on this wonderful classic Las Vegas home is going to look great for many decades to come. We recommend it to any client with an aging, leaking or damaged wood shake or shingle roof that needs to be replaced. It’s also a wonderful upgrade to asphalt roofing or in any case where a traditional roofing look is appropriate. An investment in quality CeDUR shakes, which are warrantied 50 years, will take your home through the next half century in Las Vegas. 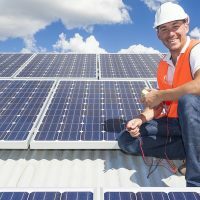 Who knows what changes we will see in the next few decades, but since this is Las Vegas, we know they’ll be interesting, and we look forward to the challenges of finding the perfect roofing solutions for all of them! Find out more about CeDUR here or give us a call for more information.